Create comfortable seating in the dining area in your home with this plush upholstered side chair. 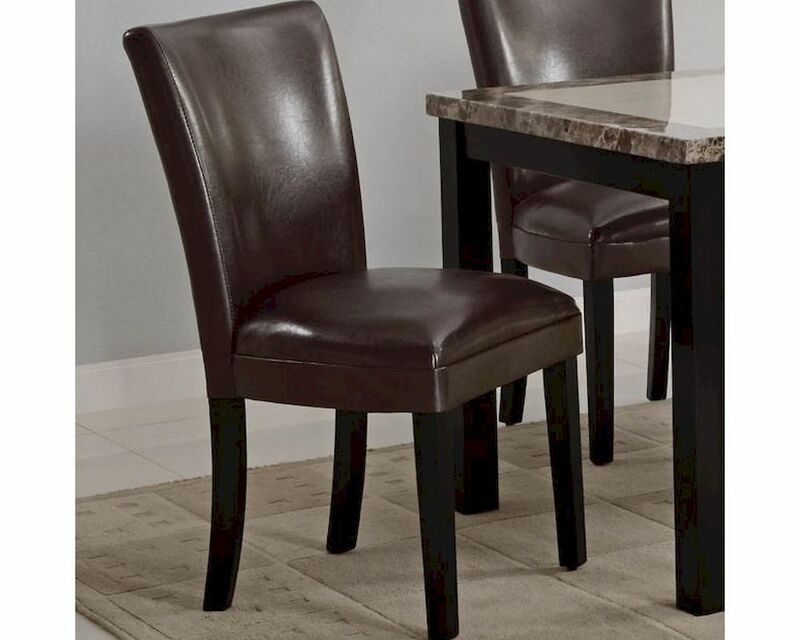 Straight tapered legs in a dark brown finish with curve shaped backs and plush seat and back upholstery all combine to make a dining chair perfect for the gathering area in your home. Available in Cream, Brown and Black, you're sure to find a solid match in your home with these dining side chairs.